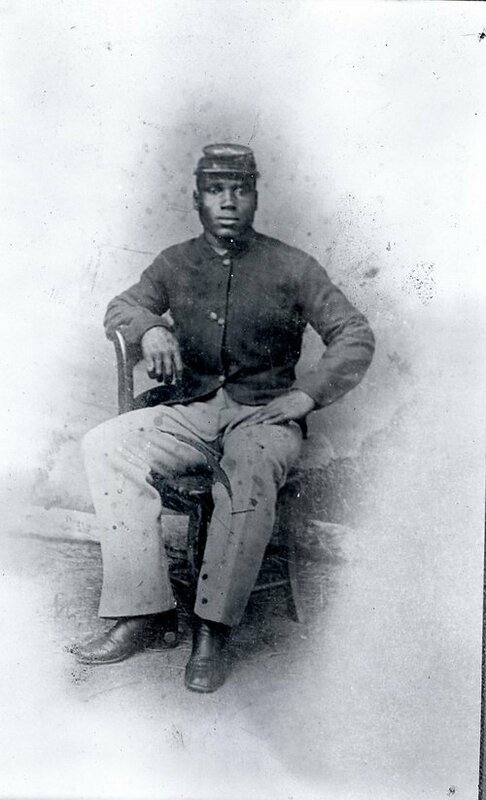 A photograph of Ruben Waller who enlisted in the 10th Cavalry on July 16, 1867 at Fort Leavenworth. This photograph was taken upon returning to Fort Wallace after rescuing the Forsyth scouts. He served 10 years in the cavalry.